The elements of traveling often get those on the go off their beauty game. The change in altitude, humidity and temperature — let alone the stress of the security line — are just some of the factors taking a toll on hair and scalp. 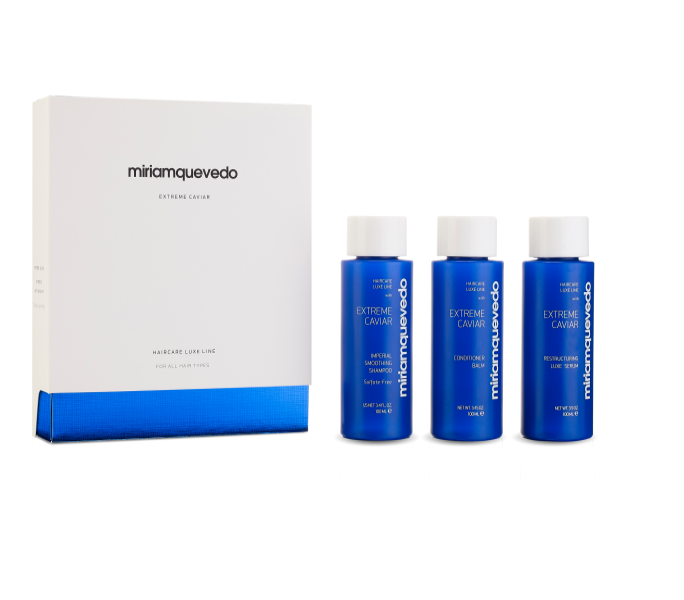 Cut to arriving at the hotel with hair “care” products that don’t — leading to dull, dry, flat or flyaway hair. Toss the tubes on the sink aside and set up a nutritional, heavenly, hair haven with Miriam Quevedo. This season continue treating both scalp and hair with the needed nutrients, botanicals and proteins such as Caviar, Marine Collagen, and Encapsulated Swiss Glacial Water for “on the go” gorgeous, glowing healthy holiday hair.